Pradeep Kumar H from Bellary, B.E. - B.Tech Graduate. 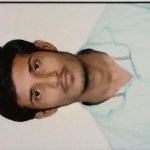 Pradeep Kumar H is Engineer and currently have no work experience. COMPLETE GIVEN TASK .. HARD WORK ALONG WITH..
are one of expert skill area's of Pradeep Kumar H .
Pradeep Kumar H is working in Engineering Project Mgmt./Site Engg./Civil Engg./Construction industry.